Purchased this in May 2018 for my Fall 2018 wedding, but ended up choosing a different dress. 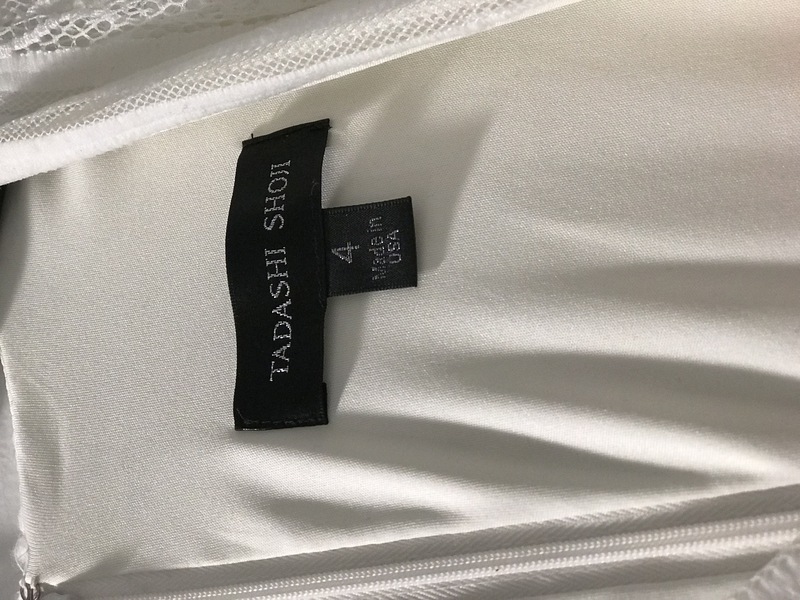 This dress is non-returnable to Tadashi because it was a special order (the dress is from their 2015 collection, so they no longer produce it without a special order request). 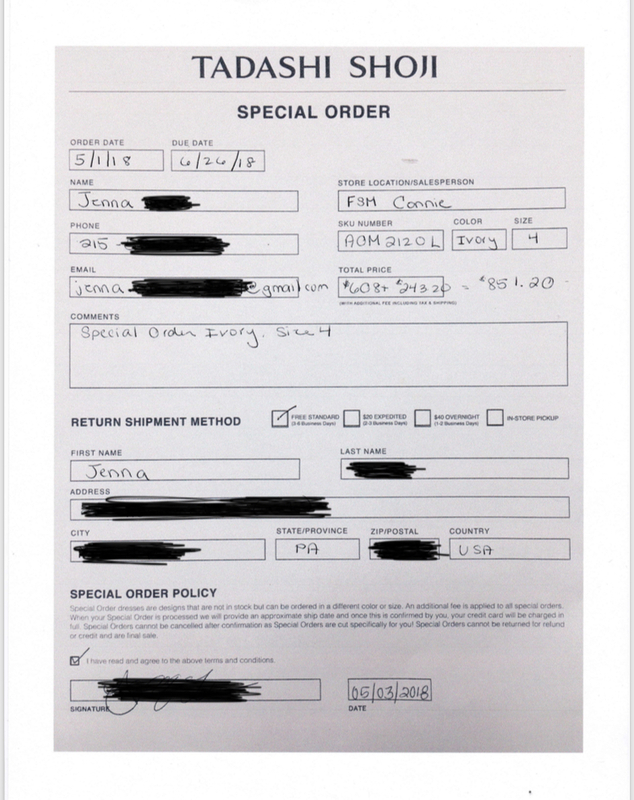 Original retail price was $608.00, but Tadashi adds 40% to that for special orders, bringing my total to just over $850.00 (see receipt in photos). All tags are still attached, and dust bag is included. I am a street size US 6, but this dress runs big so I ordered the US 4 and it fits beautifully. This dress has not been altered. I am negotiable on the sale price, so please send me your best offers. Designer Description: Effortless elegance is captured by the ease of this knit evening gown. The buttery, soft hand-feel of the allover knit will feel like your favorite tee. Long sleeves, a cross-over V neckline, and a subtle blouson waist, create a look that is at once graceful and uncomplicated. From the hips down, it is sheer elegance. A jersey lining offers added comfort for the perfect fit. Color: Ivory. Approx. 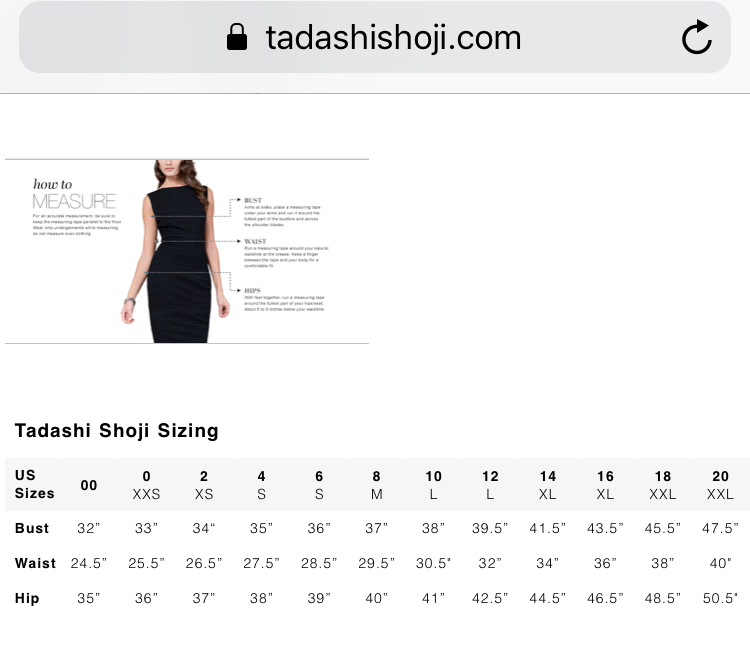 Length from Natural Waist to Hem is 45&#34;. Dry Clean Only. Designer Hemming Tips: Remove the jersey trim that finishes the hemline. Cut skirt to desired length. Reattach jersey trim with single needle topstitch. To hem the jersey lining, use a double needle cover stitch to finish hem. Cut the same amount for the lining as you cut from the self. 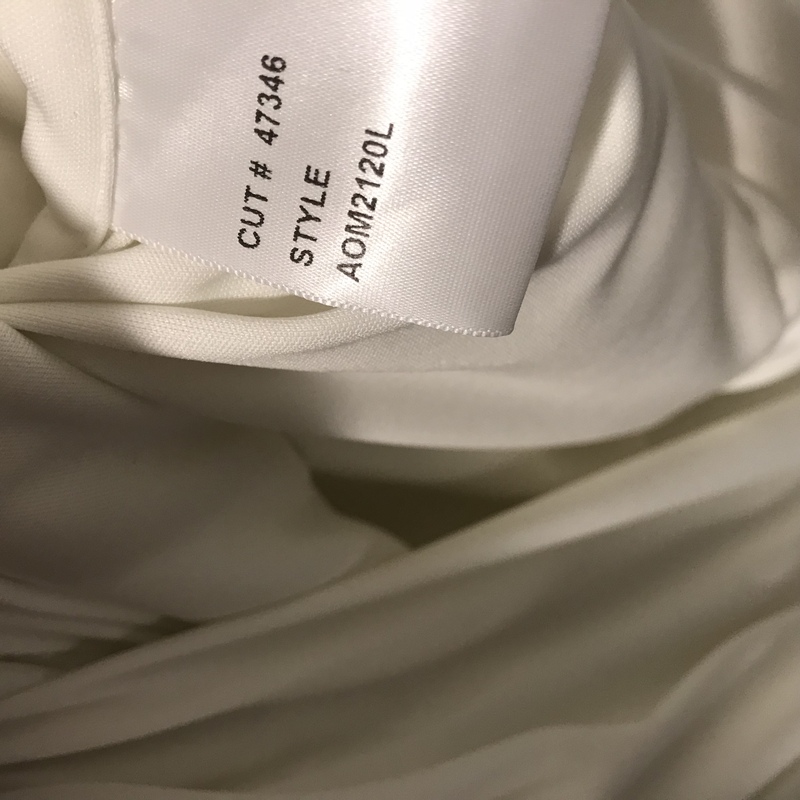 Favorite memory in dress: Never used, never altered, tags still attached. 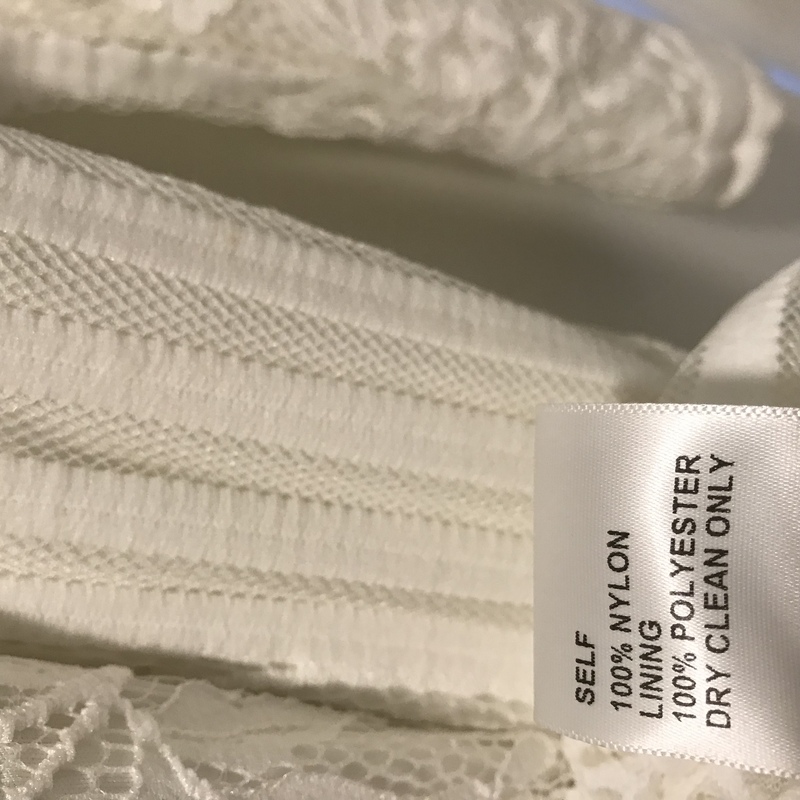 I chose a different dress for my wedding and was unable to return this one to the designer.